Are you a business owner? Do you have employees? If you do, and you have a product, service and marketplace that’s growing, you might be able to sell your company one day. Let’s explore that idea. There are a lot of myths out there about selling and exiting that might give you the impression you can sell your company when you want, for what you want. You might as well come face to face with the truth now, rather than the year you are attempting to sell. If you don’t prepare properly well in advance you’ll likely be devastated to discover you can’t find a buyer, or worse, you do but can’t get the deal done. This sad situation is the norm, not the exception. A business is an asset. But it has no value until you make it valuable to another buyer. Therefore your current business is actually not technically an asset. It’s not easily made liquid. How does this news sit with you? You have invested a great deal of yourself into this company. Did you want more than a steady paycheck and dividends as a financial reward? 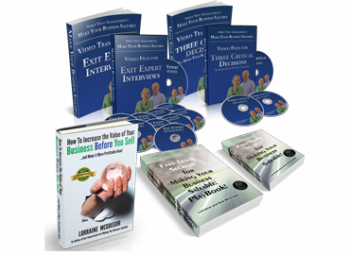 There are many other rewards to owning a business. But the financial reward can be elusive if you don’t understand how to turn your business into an asset that produces a return on your investment. If you built your company with this end goal in mind, then you have to ask yourself a significant question. What are you doing today in your business this coming year that will make it worth what you want, when you want to (need to!) sell it? What will you do for your business, for your family, for your employees’ future if you can’t sell your company? I have to let you in on the twisted world of mergers and acquisitions. These are the people that will eventually come to pick over your company to see if they want to acquire it. Buyers don’t see value the same way you see value in your business. In fact, buyers are so good at spotting what they see as ‘value’ they know how to spot it with one conversation and a quick review of your company description and financial statements. Kind of like an eagle swooping in on its prey. Buyers know what they are looking for and will review 200 to 300 or even as many as 900 companies to find the 2-3 they actually want to acquire. What this means for you is, you can’t expect to sell your company the year you suddenly become too tired to drive it anymore. Or the year that you thought you would sell to your employees or relatives, only to discover they can’t qualify for financing…or worse, aren’t really interested. Or the same year you notice the numbers are starting to slide and think you better get out while you can. You have to make your company saleable. This means you need to do the things inside your business that make it easy for buyers to see inside and know that it will continue to make money, and grow and prosper without you there. It can take 2-4 years to make a company saleable. There’s a lot to learn before you get started. The changes you will have to make need to time to take effect and produce results. There is more to the process of becoming saleable that you can learn about from the intermediaries like Cap West who represent and sell companies for business owners like you. And once you read those black-box insights into why companies fail to sell, you should pick up a copy of “How to Increase the Value of Your Business BEFORE You Sell… and Make It More Profitable Now” so you learn about the steps involved in becoming saleable and the benefits that you get on the way to your exit day, whenever that is. So, there you have it. If you want to fly with the eagles then you have to learn how to swim with the sharks. What will you do with this information now that you know the truth about what it takes to free your wealth from the illiquid asset that is your business? Make a decision today to act. Start learning about what you didn’t know. What are you waiting for? 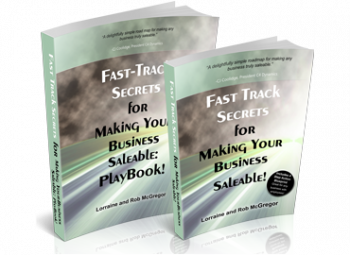 It takes 2-4 years to make a business saleable. Don’t wait to learn what to do until the year you finally feel like selling (or have to!). 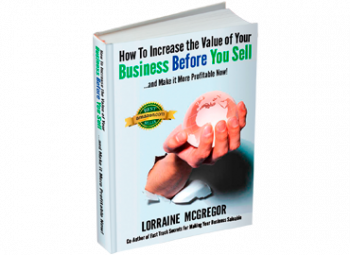 Read “How to Increase the Value of Your Business BEFORE You Sell… and Make It More Profitable Now”. Your family’s future depends on it.